Let’s face it: we all want the secret to increase energy and a faster metabolism. There is no secret, but I promise if you follow these four tips that you will look better, and more importantly feel better, than you ever have. They are nothing new, however this may be the first time you will find ways to stick with it and achieve the result! You’ve heard it time and time again but it’s true. Most people walk through their day dehydrated. Ever feel thirsty? Probably at least once per day? Your thirst is a poor barometer to your actual hydration. By the time you get thirsty, you are way past being dehydrated. Why does this matter to you? Water is key to energy and to your metabolism. It will not only help you feel satisfied but it will enhance digestion. Often, tiredness is really just a symptom of dehydration. Drink eight 8-oz glasses of water. Fill up a 64 oz jug of water each morning and commit to finishing it by day’s end. Just like water, most of us don’t get enough. You should have at least 5 servings of fruits and vegetables a day. The fiber will help you feel full and will increase your metabolism. The vitamins and minerals will keep you feeling energized. When you eat fresh foods that are truly alive, you’ll feel alive too! It’s easy to lose track so here’s a little trick that was inspired by a company called Balance Beads. Put five bracelets on your right hand and each time you have a serving of fruit or veggie, move a bracelet to your left hand. At the end of each day, make sure that your right hand is bracelet free. Your heart is a muscle and it needs to be worked so it can stay in shape. When you exercise, you burn calories, increase endorphins and your immune system. It doesn’t have to hurt. In fact, most people usually do too much, too hard, too fast. However, if you are breathing at the same rate as when you sit to read this article, you are not working hard enough. Make sure that you are a little out of breath. Make a personal commitment to break a sweat each day. Whether walking the dog, playing in the back yard with your kids or participating in a traditional exercise routine, make it happen every day. Kick it up a notch. Increase whatever you are doing regularly by just a little more and it will reap great change! It’s the easiest thing to do and you think you do it all the time, but you don’t always breathe to its full benefit. Many yoga studies show that left nostril breathing can lower blood glucose levels. What we do know for sure is that oxygen is essential to life and to the function of your cells. Breathing practices such as that learned in yoga and other mind / body activities will teach you great breathing techniques to increase your energy. To make it happen every day in your life, find something that gives you pause each day. Maybe it’s waiting for a site to download or waiting at a red light. Make that your cue to take 3 deliberate, energizing breaths. Breathe in for three counts, hold for three counts and then release for three counts. Rest assured, that moment of oxygen will give you more energy and kick start your day. Nationally recognized as an expert in the field of fitness, particularly pre and postnatal, mompreneur Lisa Druxman is the creator of FIT4MOM®. 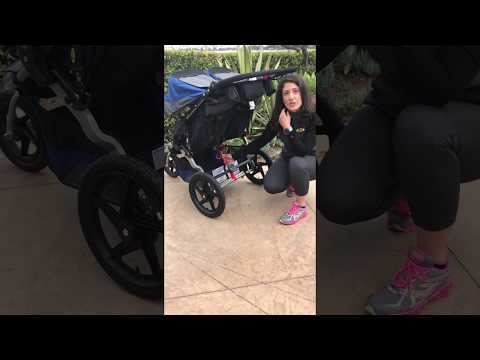 Her programs such as Stroller Strides, Fit4Baby and Body Back are all part of the Fit4Mom family. The FIT4MOM franchise has consistently been ranked by numerous publications as one of the fastest growing franchises in the country. Lisa has created one of the top companies for moms to work for according to Working Mother magazine. Lisa Druxman is a Mom On A Mission. It is her hope to inspire all moms to live a healthier life.